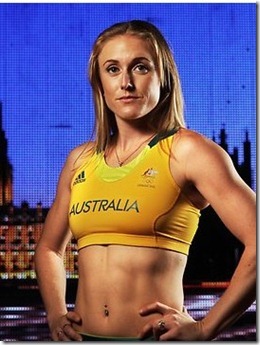 Australia has sent a team of 410 athletes to compete at the 2012 Summer Olympics in London, United Kingdom, from 27 July to 12 August 2012. This will be the fifth largest Australian Olympic team,after Sydney 2000 (632), Athens 2004 (482), Beijing 2008 (435) and Atlanta 1996 (424). Women’s 4x100m freestyle relay – Alicia Coutts, Cate Campbell, Brittany Elmslie, Melanie Schlanger have broken the Olympic record coming in at 3:33:15. Page was victorious in the 470 class at Weymouth along with his sailing partner Mathew Belcher. Page is also said to be confirmed as closing ceremony flag bearer. Tom Slingsby started the gold rush with a win in the Laser class. Australia’s sailing team has won three of the nation’s seven gold medals. The men’s K4 1000m crew of Tate Smith, David Smith, Murray Stewart and Jacob Clear clinched the gold ahead of Hungary and the Czech Republic in the Australia’s first team kayaking. 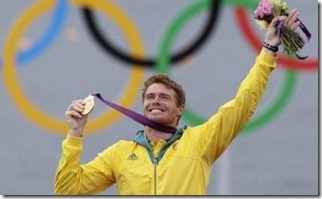 It was Australia’s first team kayaking Olympic gold. The best overall medal tally performance came when Australia was host in Sydney in 2000, where Australians won 16 gold, 25 silver and 17 bronze for a total of 58. Many of Australia’s gold medals have come in swimming, a sport which is popular in Australia, with swimmers from Dawn Fraser to Ian Thorpe ranking amongst the sport’s all-time greats. 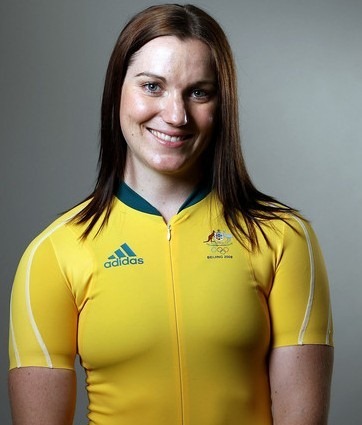 In the Beijing Olympics four years ago, Australia finished with 14 gold medals (6th overall) and 46 total medals (fifth overall). Australia’s best ever gold-medal performance was in Athens in 2004, where the team won 17 Olympic titles.